Harp professor at the Madrid Royal Conservatory and harp soloist at the Madrid Symphony Orchestra. Tierra 47 Artistic Commitee member. Susana Cermeño has always been engaged in contemporary music: In 2011 she recorded, alongside the Modus Novus Group, the Petit Ensemble Jaune de Jacobo Durán Loriga, for harp and chamber orchestra (Verso VRS 2113). Her interpretation of the Sequenza para Arpa de Luciano Berio, which she interpreted in the Sequences held in the National Auditorium of Music by the camera group Project Guerrero (previously “Gerhard Project”), of which she was a founding member, also shines. Founder of the Spanish Association of Harpists and organizer of Harp Days, held at the Royal Conservatory of Music in Madrid since 2013. 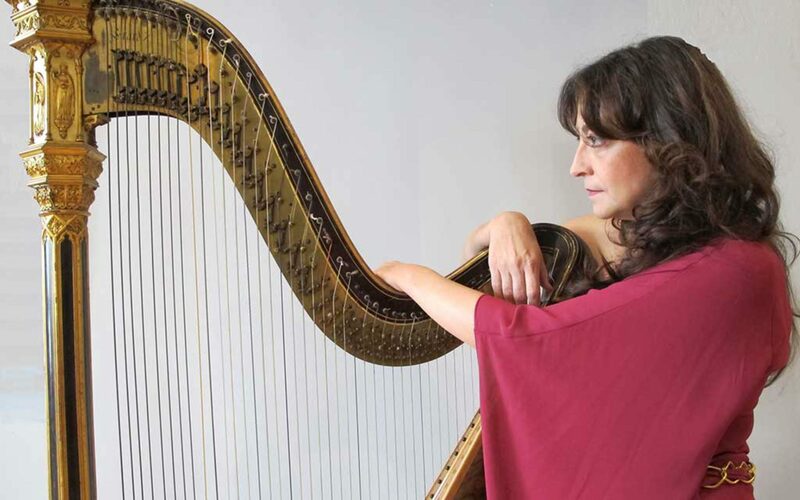 Since 1999 she has organized, in collaboration with other teachers, the contest “ARPAPLUS”, the only competition in Spain for harp students celebrated in multiple cities across Spain.